You heard it here first: in 2018, HARMAN received a record-breaking 53 product design and technology awards, bringing our six-year-total to more than 300 awards for 190 different products. This unprecedented number is a direct reflection of our commitment to designing world-class products that flawlessly combine the latest technologies with premium quality and aesthetics. 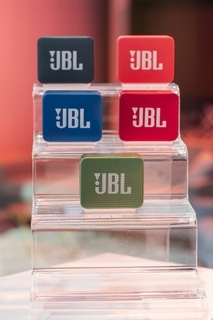 From voice-controlled speakers and connected home devices to wireless headphones and portable speakers, our popular JBL, Harman Kardon, and AKG brands won astounding recognition from the technology industry’s top award programs. The 53 awards include 7 CES Innovation wins, 16 iF World Design wins, 22 Red Dot Product Design wins, 4 Red Dot Communication Design wins, and 4 EISA wins. 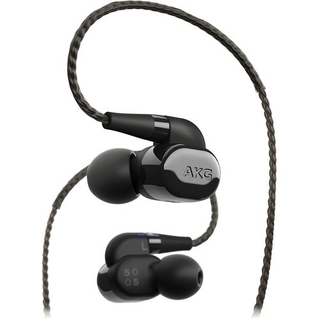 The JBL Go 2, JBL Xtreme 2, AKG N5005 earphones, Harman Kardon Allure and Harman Kardon Citation – just to name a few – were recognized with multiple honors. We owe it all to our imaginative designers and talented engineers, who remain committed to developing smart products and systems that deliver the best in sound on stage, at home, and on the go. The accolades bestowed on HARMAN are a testament to their ingenuity and expertise. Design is in our DNA and steeped in the history of HARMAN. When Sidney Harman founded HARMAN International in 1956, he launched the company down the path of integrating phenomenal sound with expert design to create unforgettable listening experiences. 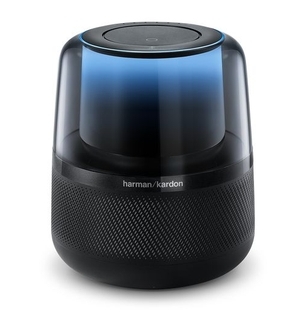 From releasing the world’s first stereo receiver in 1958 to developing one of the first audio docks for the iPod in 2004, HARMAN has always been a powerhouse of design. It’s no coincidence that all these years later, Harman Kardon is the most awarded brand in our entire portfolio. To honor Sidney Harman’s legacy and further our longstanding commitment to delivering cutting-edge technology, HARMAN recently launched Huemen, a design agency powered by more than 250 highly esteemed and experienced designers. Built on rich brand legacy, technical prowess, a strategic approach and design reputation, Huemen’s designers are dedicated to establishing a meaningful connection between brands and consumers. Our relationship with technology is unique and personal, and over time the focus of design has transitioned from device-centric to experience-centric. Together with Huemen, HARMAN has strengthened our status as the architects of experience, creating products with an empathetic and human-focused mindset in order to produce immersive and personal listening experiences for everyone.